It is a simply recursive program which simply prints out the value of n. If you run it you will find that it will raise a RecursionError at some point, for me 997 was the last value printed. Now it is important to understand why this happens. Under the hood, the Python interpreter enforces a recursion depth that is set sanely so you don’t cause the underlying C implementation to produce a stack overflow. Now 36132 seems to be pretty close to 2^15, perhaps there is some reason behind this? I attempted to look at the Python interpreter source code but to no avail, if anyone has an answer stemming from this I would very much appreciate you contacting me and explaining it. As for my own analysis to why this is the number we land at, I present the following. Looking at the output we see that there are 144527 function calls, 36131 of them being calls to our recurse function, 36131 calls for each of the print, sys.getrecursionlimit and sys.setrecursionlimit functions. Now calling sys.getsizeof(recurse) lets us know that our recurse function takes up 136 bytes. Similarly, we find that print, sys.getrecursionlimit and sys.setrecursionlimit are all 72 bytes in size. This means that we are using at least ((36131 * 136) + (36131 * 72 * 3)) / 1024 / 1024 ~= 12mb during execution. Perhaps this means the limit of the Python call stack is somewhere around this number. 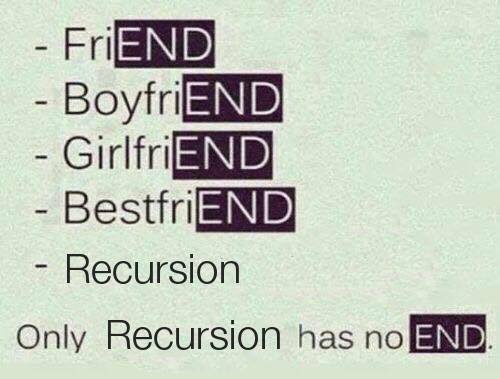 Upon exploring Stack Overflow (No pun intended) and various other sites, I have not been able to find specific reason why I can not increase the recursion limit, and the stack size, to accomodate the needs of infinite recursion. Final ideas on achieving this would include having to make actual code changes to the Python interpreter and/or predicting the number of calls you will make within the recursive function so you may grow the stack accordingly. For example, recurse made 4 function calls in total and hence I imagined I could increase the recursion depth by 4 each time (this did not work surprisingly, leaving me with the same magic number, 36131, and a segfault. Conclusively, I suspect it is not possible to have infinite recursion in Python either because our call stack will grow too fast or we simply allocate too much memory.